OTTAWA - The Canadian Centre for Policy Alternatives is predicting a "do-nothing" federal budget next week that the left-wing think-tank says could actually worsen the country's struggling economy. In its annual alternative spending plan to be released Wednesday, the group is urging the government to abandon austerity measures, raise taxes and delay their deficit-killing deadline by a year in order to revive Canada's sluggish economy, lower unemployment and reduce poverty. In the report, the centre says neither the economy nor the labour market are in as good health as the Tories have advertised, and Canadian corporations aren't investing enough to get things going. Growth in household spending — leading to an "alarming" rise in household debt — has pushed things along, while governments and business firms have contributed almost nothing to economic growth since the fall of 2012. There's "absolutely no need" to balance the federal books, the group says. The government has a more pressing responsibility to address problems in other sectors of the economy, rather than maintaining a "narrow-minded focus" on its own stable finances. And with interest rates so low, it's a good time to keep borrowing, says David Macdonald, the centre's chief economist. "The federal government is well-placed, it's in good fiscal position in contrast to the provinces and in contrast to households to make a substantial dent into higher unemployment and growing inequality," Macdonald said. "But this upcoming budget ... it will likely be very focused on their own internal issues as opposed to a larger management of the Canadian economy." On the other hand, the cost of borrowing won't be inexpensive forever, said Alexandre Laurin, one of the co-authors of the alternative budget produced by the C.D. Howe Institute. "Yes, it's cheap now, but there's no guarantee it's going to be cheap five years from now and we're already into debt," said Laurin, the institute's associate director of research. "If we borrow now we're going to have to pay it back in the future, no matter what, so that means more taxes to be paid in the future." The Tories often say Canada has the largest employment growth in the G7 countries, but unemployment rates don't always come down because people have found jobs, Macdonald said. Once people abandon their search, they don't count as "unemployed" for statistical purposes, he said. So the unemployment rate can decline because people are just giving up, rather than finding work. "Of the entire decline in the unemployment rate since it's worst point in 2009, 20 per cent of that decline was due to people getting jobs, 80 per cent of that decline was due to people giving up work," Macdonald said. "So this is the long-term trend. We're seeing clear stagnation in the labour market." It should also re-think some of its long-promised election goodies, such as income-splitting and increasing the room in tax-free savings accounts, which will not only cost the treasury billions of dollars a year, but "overwhelmingly" favour the wealthy, the report said. "We see that as a favourable thing to do, something that would be beneficial to the economy," he said. But the C.D. Howe Institute isn't calling for drastic cuts in transfer payments, he added. Rather, it wants the government to focus on reining in the cost of public-sector employees, saying it could save $5.2 billion over two years by capping contributions to pensions, ending the banking of unused sick days and splitting the cost of post-retirement health benefits. It doesn't have to have a negative impact on the economy, Laurin said. In fact, controlling compensation costs has the least impact on growth. Canada's labour market still hasn't caught up to where it was before the recession, he said. So in addition to cutting compensation costs, the government should also try to promote growth, such as getting rid of regional entrance requirements and benefit periods for employment insurance, which it argues provides incentives for people to stay in places where job prospects are poor. 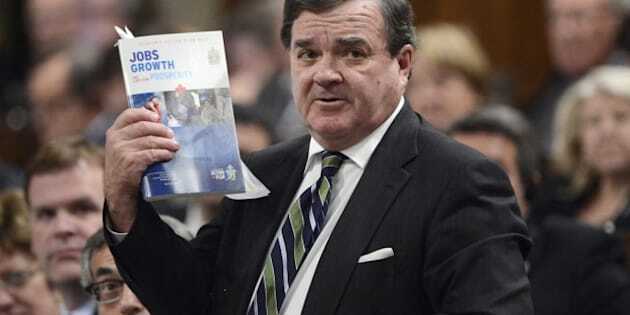 A spokesman for Finance Minister Jim Flaherty said the government is focused on "a fiscally responsible plan and getting to balance in 2015."